Millions of drivers could have Private Parking Penalties overturned and their ‘fines’ refunded if a mass action started by Cambridge Law Graduate Michael Green is successful. 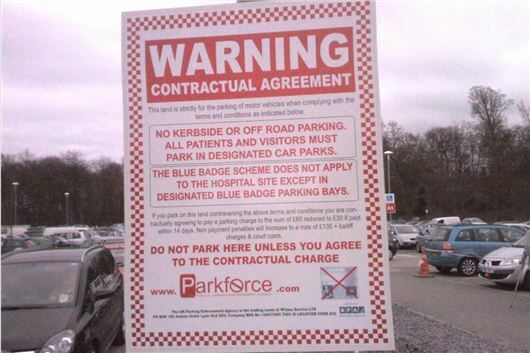 In 2010 and 2011, HJ tried to warn of the consequences of a clause hidden away in the 2011 Protection of Freedoms Bill that gave Parking Enforcers the right to levy Draconain penalties for breaches of private parking conditions, and in the process make themselves hundreds of millions of pounds in profit. Unfortunately, neither The Daily Telegraph not The Daily Mail were interested. Newspapers prefer to take up their cudgels against an injustice after it has happened rather than prevent the injustice in the first place. That way sells more papers. Clause 56 became law on 1st October 2012. All HJ could do was publish the latest information on his website here: HJ’s Private Parking Penalty FAQ. But now Michael Green thinks that the method by which Breach of Contract is being applied to Private Parking Penalties is itself illegal and he wants to take this to the High Court to get a ruling. He wants to do this in the form of a mass action of 100,000 drivers who have paid private parking penalties. This will be free of charge to the ‘victims’. All they have to do is register their penalty on his website here: Challenge the Fine. Figures published by The Daily Mail show that requests for vehicle keepers by Private Parking enforcers to the DVLA rose from 272,215 in 2006 to a projected 2,699,904 in 2014. And that income to Private Parking enforcers collectively rose from £21,000,000 in 2006 to a projected £176,000,000 in 2014. When a similar mass action over PPI was taken to the High Court, it led to the banks having to pay out tens of billions of pounds in compensation. The same could happen with Private Parking Penalties. It was your money. Do you want it back, or not? Don't ever pay a Private Parking Penalty. I didn't pay my Penalty 3 years ago, and after 2 years they gave up writing threatening letters to me.